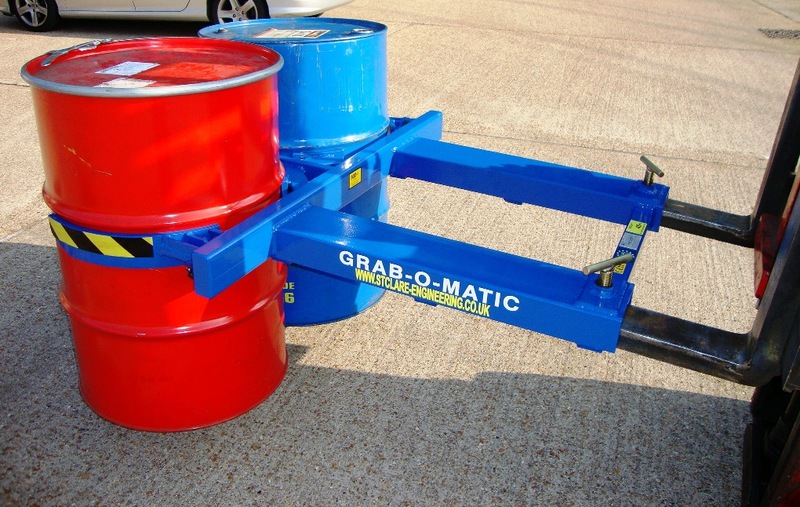 The Grab-O-Matic DH-2 double steel drum handler grabs the drums around the waist between the centre rolling rims, it is suitable for 2x 205/210L steel drums only with pronounced rolling rims, the drums must be of a consistent diameter and not damaged or dented. 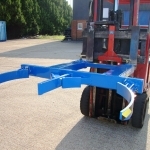 The DH-2 is secured to the forks with zinc plated ‘T’ bolts and finished in hard wearing blue gloss powder coat. 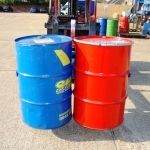 The DH-2 waist gripper is also available as a single drum handler model DH-1.